3791 Victoria Road, Ashville, NY.| MLS# R1154709 | Chautauqua Lake Real Estate. Specializing Chautauqua Lake helping Buyers and Sellers since 1985. 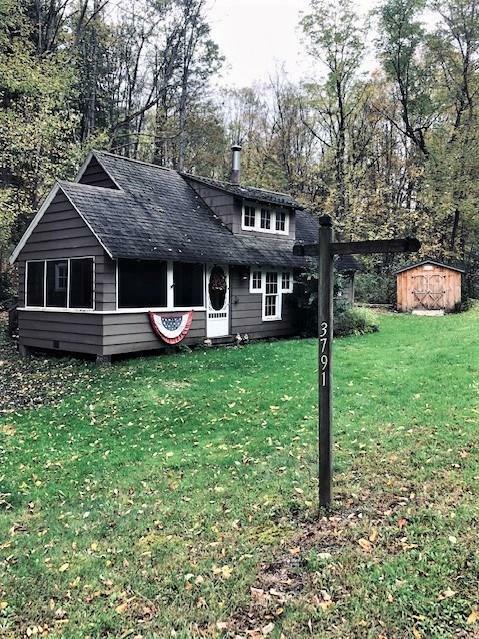 *Owner Financing available!Enjoy Chautauqua Lake by owning this charming 2 bedroom, 1 bath cottage. Located on a quiet street in Ashville, the cottage is situated on a large lot with lots of room for family bbq's or roasting marshmallows by a fire pit. Inside this home has an open living room/dining room area and bath with laundry conveniently located on the main floor. This home also features lake access. Call today for your private showing and for more information. Directions To Property: W. Lake Rd. Towards Mayville. Turn Right Onto Victoria Rd.